LEDGlow's Million Color Home Theater LED Lighting Kit features (2) 9" and (2) 15" multi-colored LED tubes giving your home theater system a soft, yet colorful ambient light for the ultimate viewing experience. 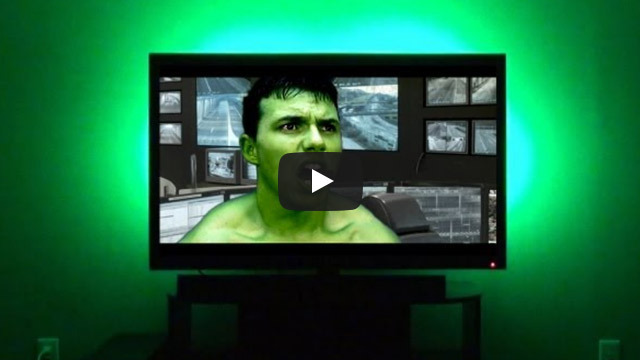 LEDGlow’s Million Color Home Theater LED Lighting Kit will be the envy of all your visitors as it adds a custom, multi-color ambient light that surrounds your home theater system that is second to none. 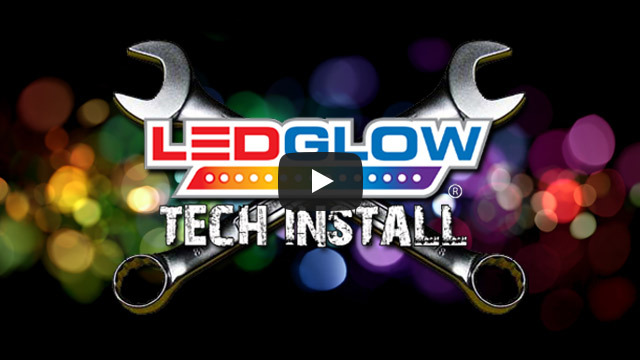 This multi-color home accent lighting kit utilizes ultra-bright, surface mounted RGB LED technology which allows for a vibrant and wide angle, spotless glow that adds a colorful personality to your home theater set up. Every home theater kit includes (2) 15" and (2) 9" light tubes that feature (4) 5' power cables with modular connectors, an easy to hide control box and a wireless remote with receiver that controls all of the kit’s lighting effects. Email me in 4 weeks.. I am traveling and will not know until I get back home to install in about Feb 14th. Saw this on youtube, thought they looked cool.. I bought them late last spring (May 2014) and installed to my TV, I agree with previous reviewers that the Tape is no good, I used tape from my work - much better..
My Only big complaint with the product is that it reacts to my A/V Receiver's remote control functions, (also sometimes the DVD player or even the CFL lights in the room will flicker enough when turning on that they turn the LED's on then too!!!) so when I change volume or mute the lights will turn on or off, or change colours.. I have tried to hide the IR Eye,but this didn't help much, just made it harder to control when I want to.. I am happy with the lights themselves, but the control functions are annoying.. I notice that the pictures above show a different remote control than I have, so maybe things have been updated to a better model..